The Granada is an event venue located in Lawrence, KS. In 2012, they asked Philsquare to update their website with a new, fresh design and make it mobile friendly. 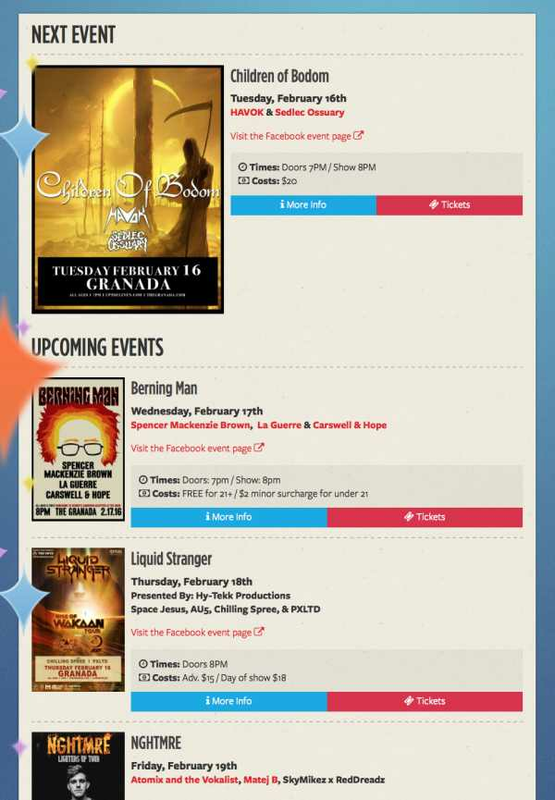 Visitors can easily view a list of upcoming events. The list shows basic information about each event with the option to buy tickets or view more details. 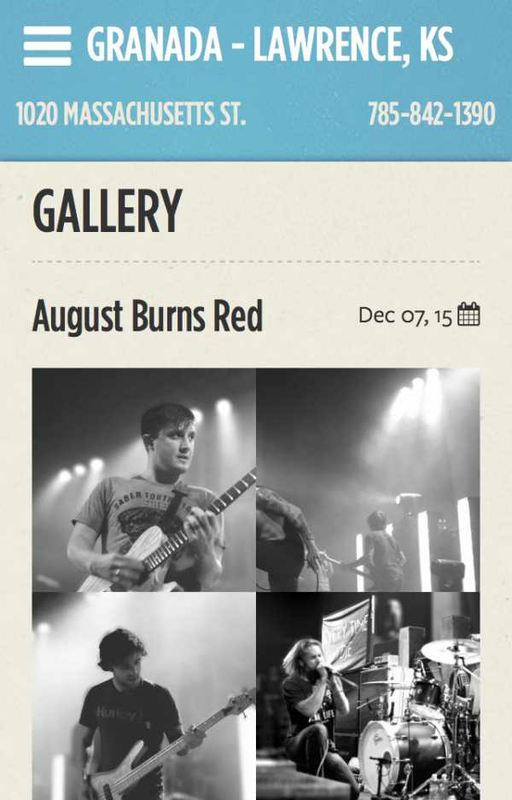 This calendar view shows the actual event poster on the day. Visitors can hover over the poster which will "rotate" and reveal more information on the back of the poster. 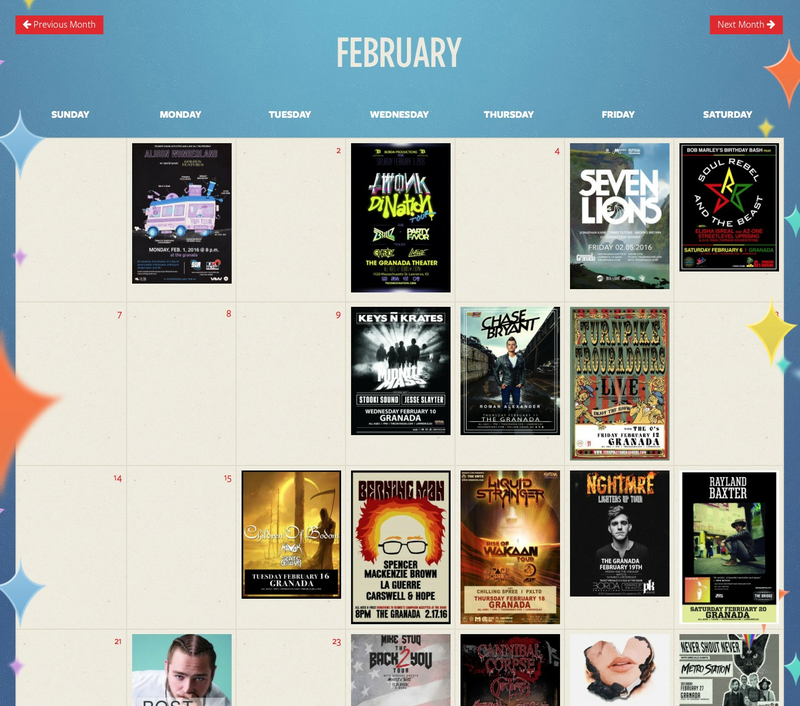 The Granada has professional photos of all their events. So Philsquare made it easy for them to upload these photos to each event. The photo gallery page is then automatically generated from these photos. 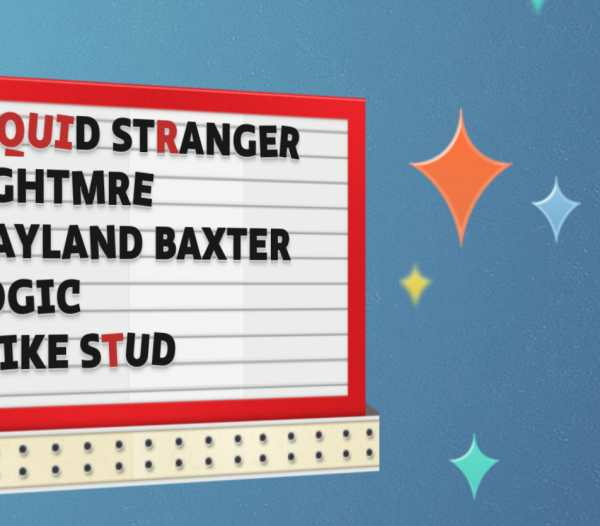 The homepage features a graphical marquee that resembles their actually marquee. We added a feature that slightly tilts and colors the marquee letters randomly. 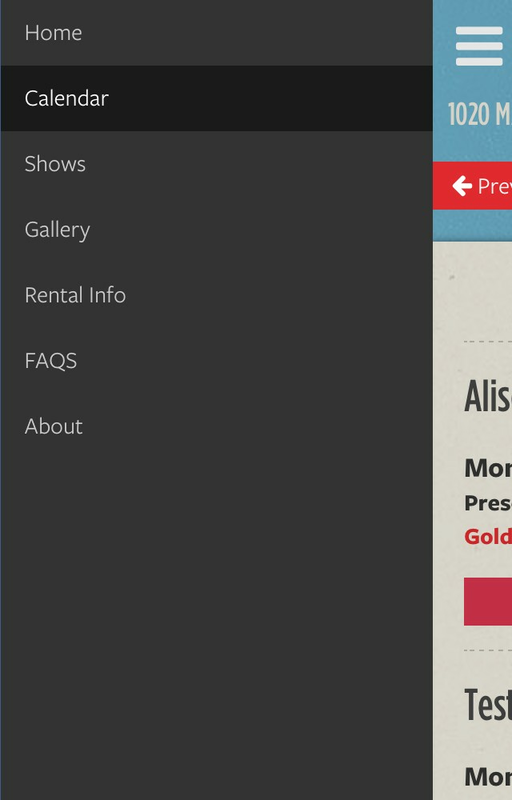 This gives each user a unique view of the marquee on every new visit. Again, this replicated the current marquee since not all letters are the same color or orientation. The front of the Granada has a set of "stars" of different colors and shapes. We took these physical elements and added them to the website along with the animated parallax effect. This gave the website depth and personality. These are not images. 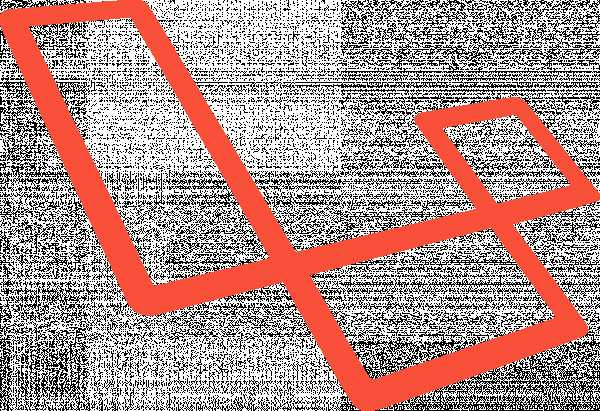 We use CSS3 style techniques to produce graphic art looking fonts. These will display beautifully on all displays, can be adjusted easily and Google can index the text. 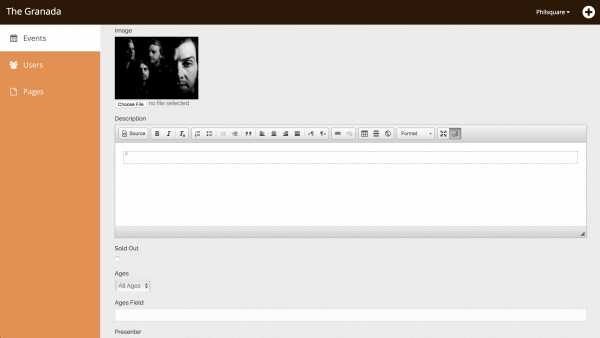 As with almost all our web projects we build it to work great on smaller screens such as mobile phones. 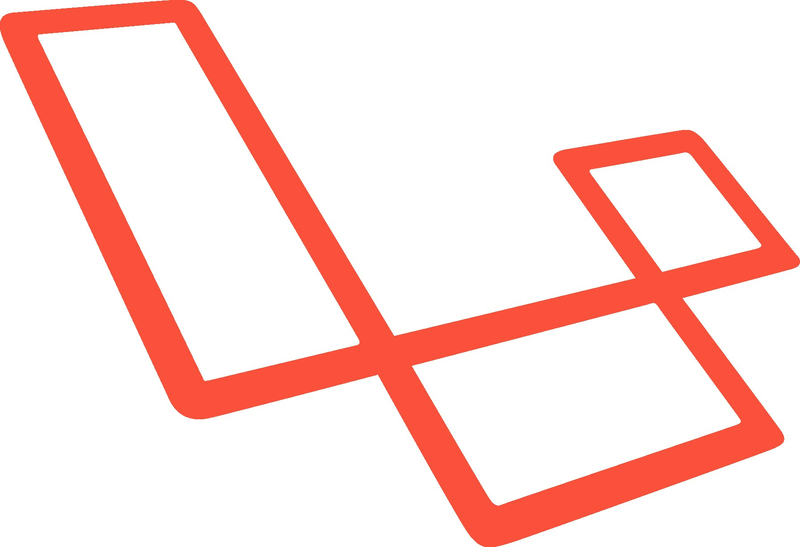 Laravel is a powerful application development framework built on PHP. 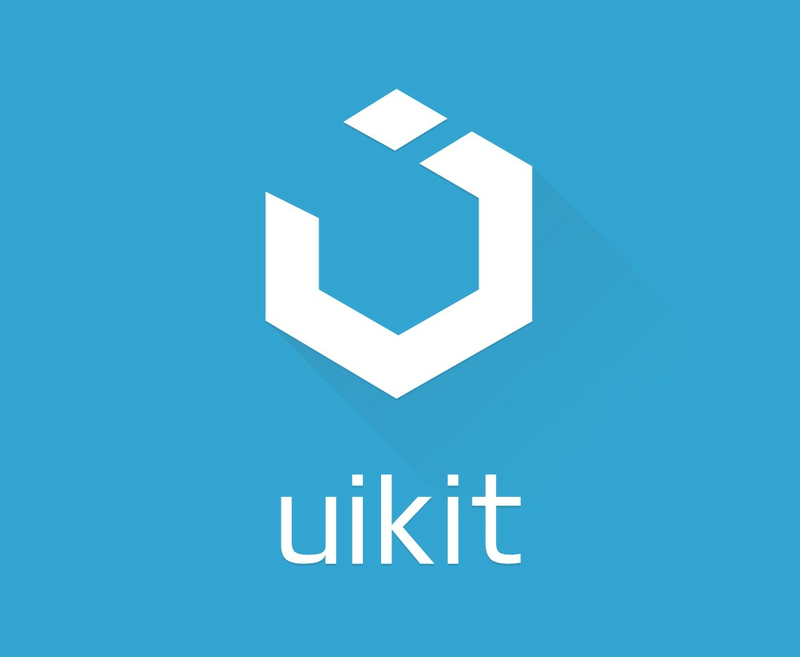 UIkit is a modern front-end framework that helps us build mobile and desktop applications quickly by providing basic UI components. All primary content can be updated with a powerful admin panel.